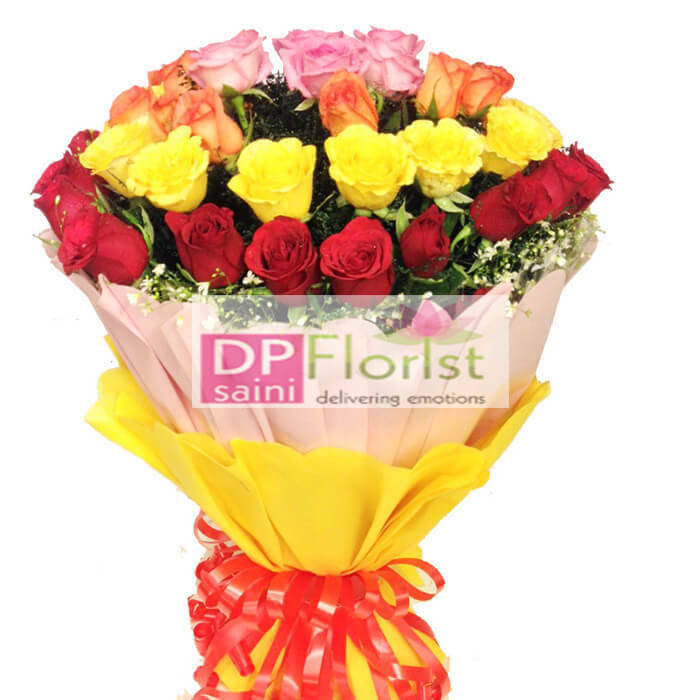 A bunch of 35 multi color roses with fancy paper packing around it with ribbon. 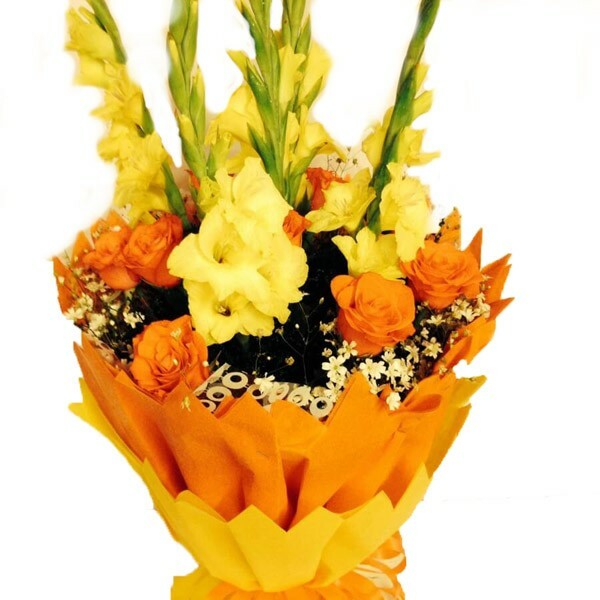 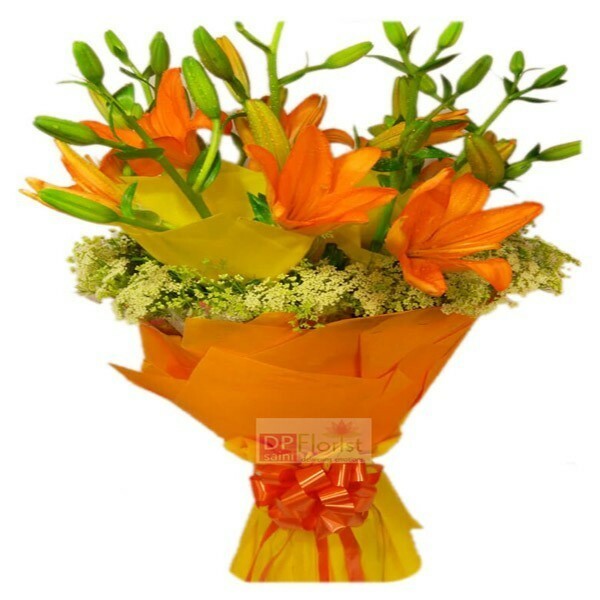 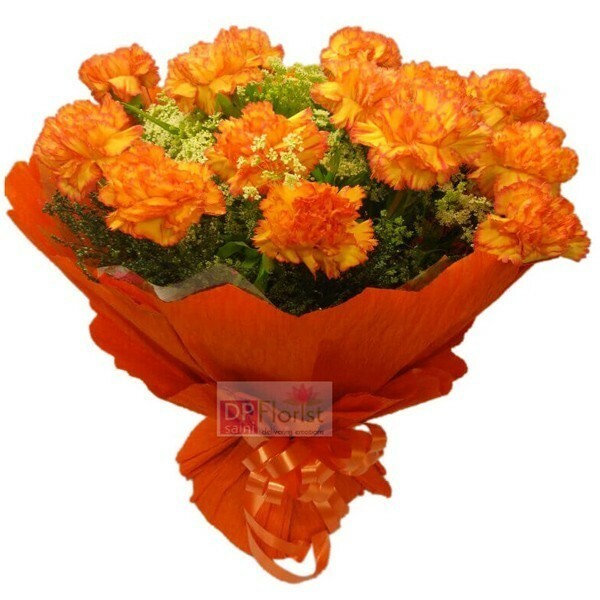 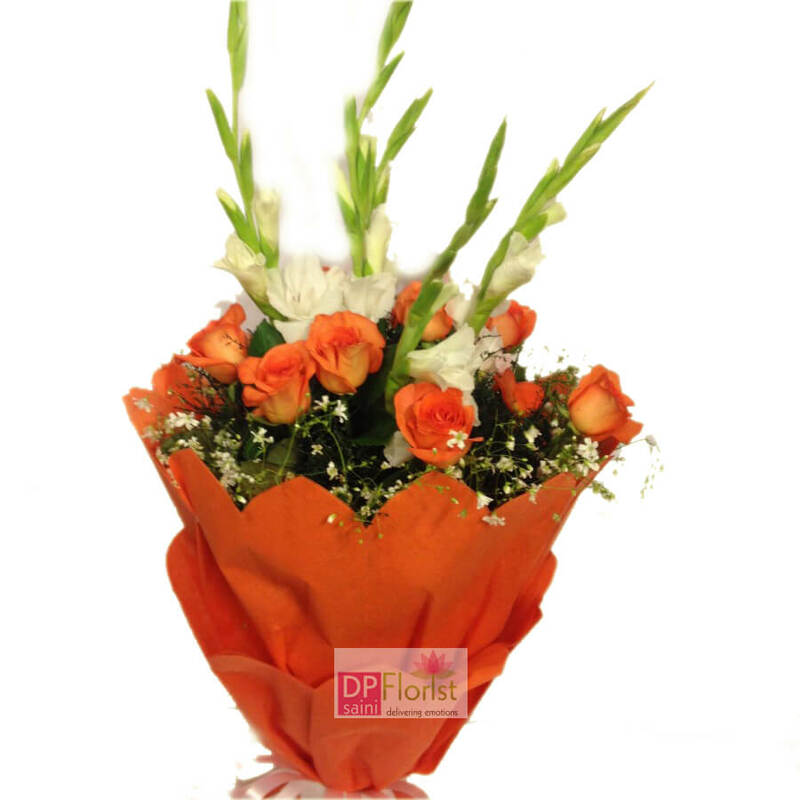 Bunch of 5 white glide and 10 orange roses with fillers beautifully wrapped in a orange packing. 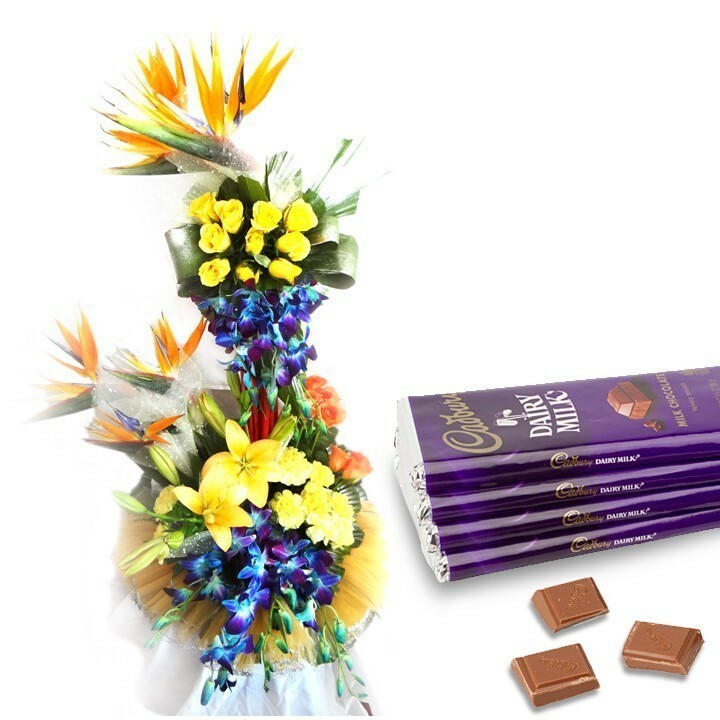 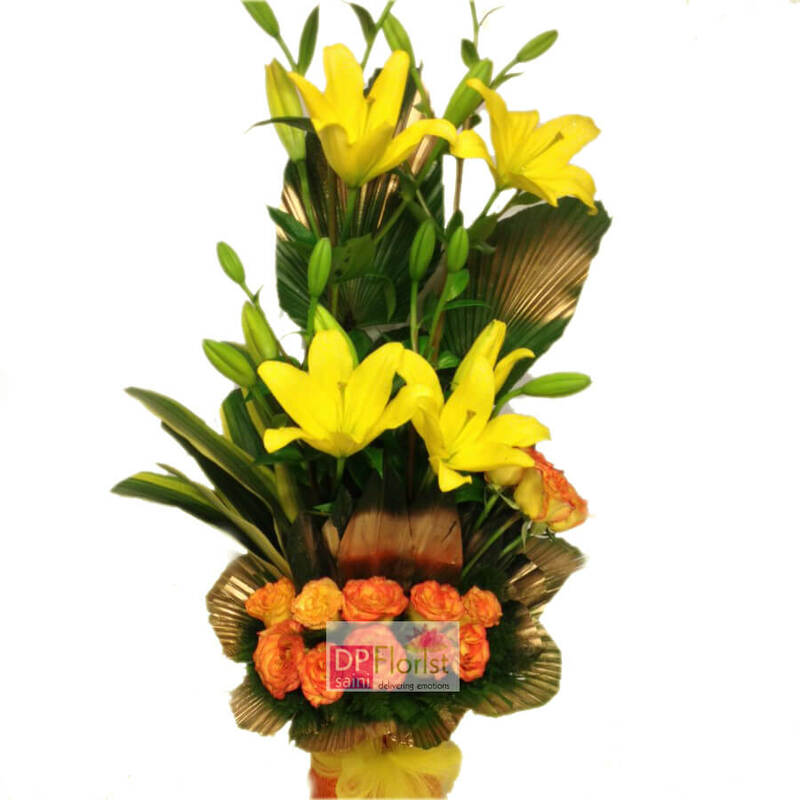 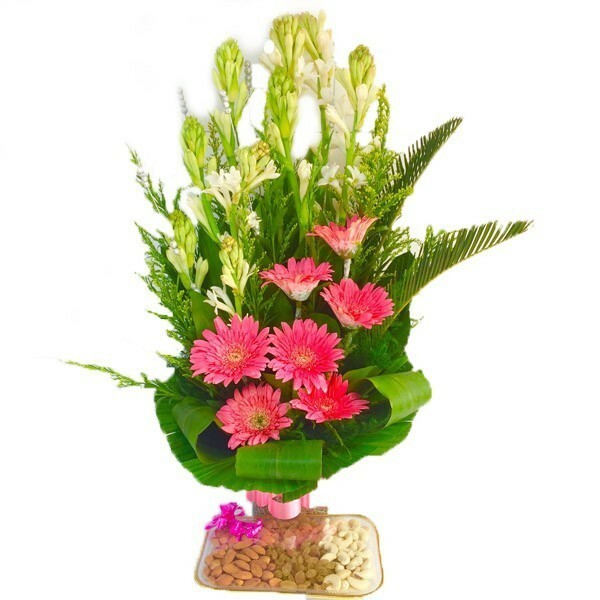 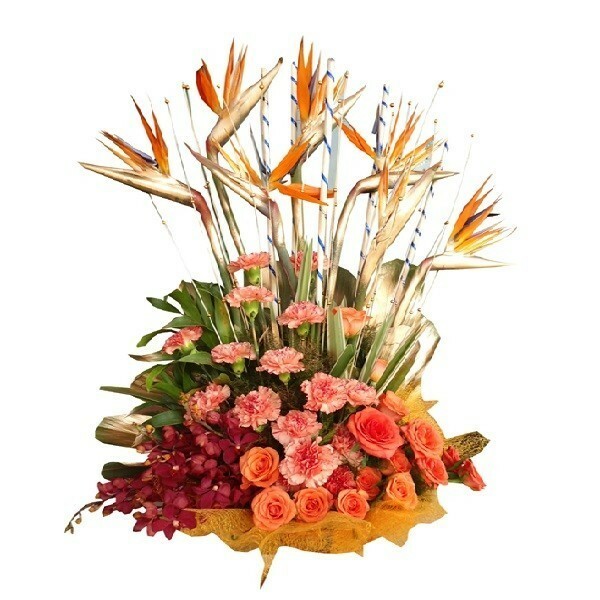 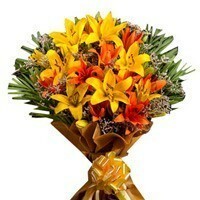 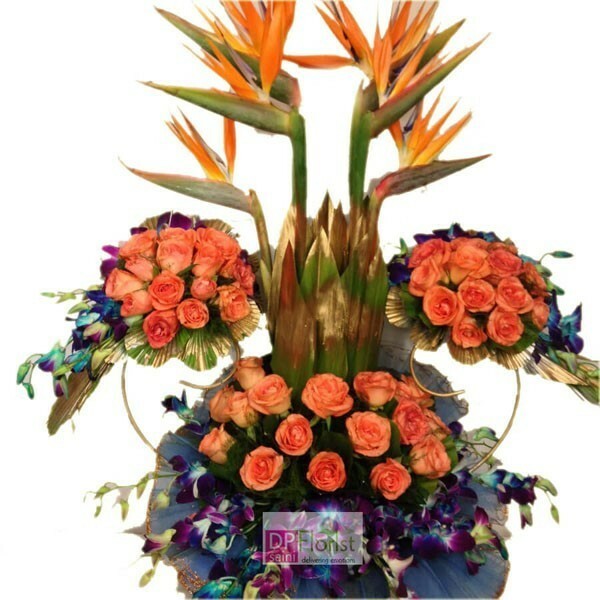 Send this beautiful looking bunch to your loved one on their special day.